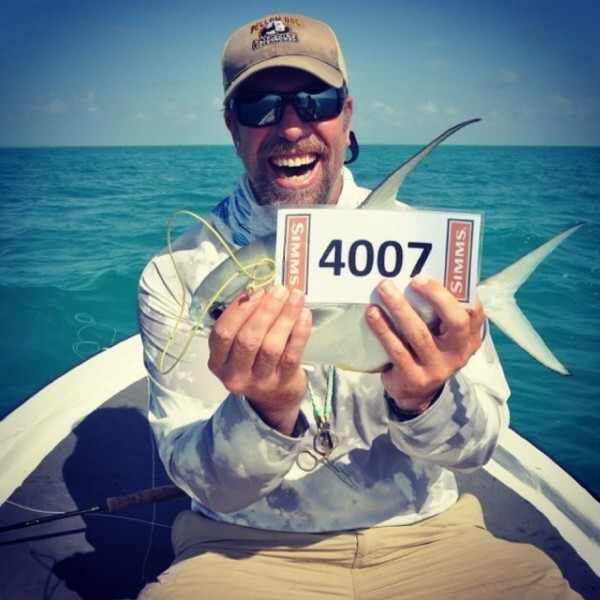 The second day of the tournament saw some amazing catches, but Yellow Dog maintained the lead. AM Films came close with 1275 points and in third was Tarpon Maniacs with 750 points. 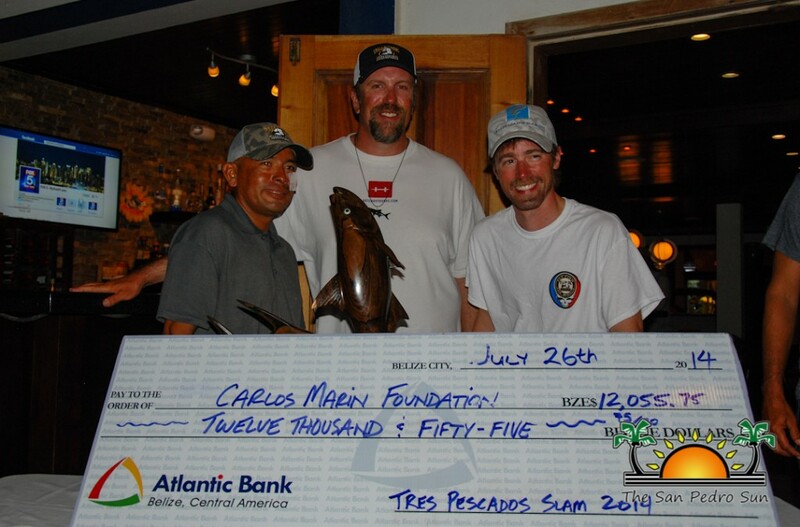 Peninsula Fly Club rounded in fourth with 525 point, and team Super Fly, with anglers Hackney and Jenn Parker claimed fifth place with 450 points. 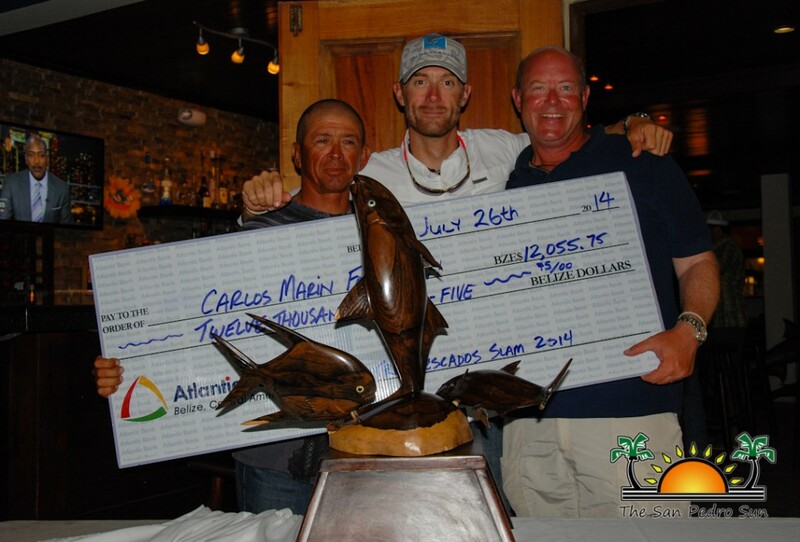 Anglers were in a celebrating mood that evening, and they enjoyed a delicious pig roast sponsored by Heineken before resting up for the final day of fishing. On day three, the final day, Yellow Dog racked up 1650 points, ultimately taking the grand prize of the tournament: $5,000 cash, plus other prizes and a trophy. AM Films racked up 1275 points on the final day, and they walked away with the second prize in the whole tournament, winning $3,000 among other prizes and a trophy. Tarpon Maniacs racked up 1125 points on day three, and they walked away with third place's $2,000 and a trophy. 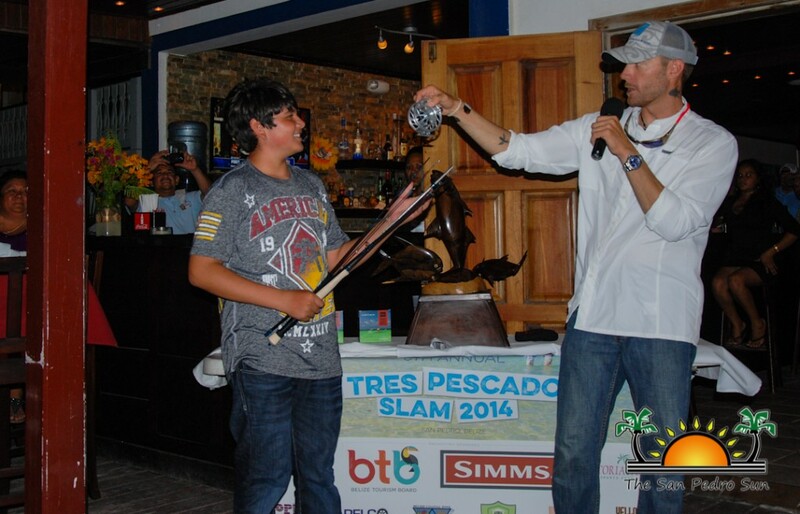 All prizes were presented during the award banquet held on the final night of the tournament. Individual awards were also given out. The Female Angler Award went toCourtney Marie Martin from BelizeflyGyalz, while Daniel Smith from Belize Young Guns took the Junior Angler Award. The final award was given to Belize Young Guns' Michael Guerrero for being tournament's the newest angler. Over $12,000 was raised for the Carlos Marin Foundation, and the funds will be used to benefit the protection of the fly fish species in Belize. 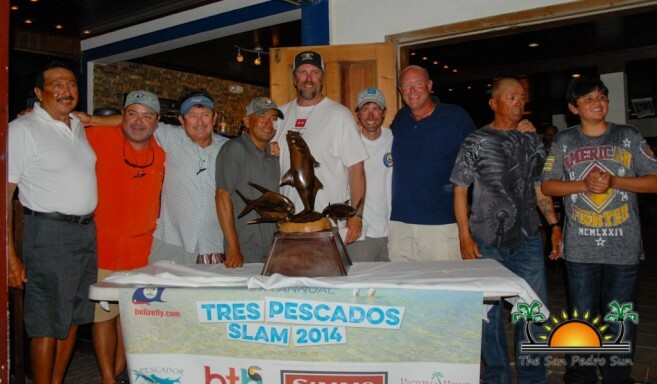 The TresPescados Slam Tournament organizers declared 2014 to be a great success and they thank the Belize Tourism Board, SIMMS, Tropic Air, Belize Coastal Zone Management Authority and Institute, Victoria House Resort, Tangelo, El Pescador Belize, Holiday Hotel, Costa, Angler Abroad Fly Shop, Yellow Dog Flyfising Adventures, Belize Fly, MARELC, Belize Boarder Management and Scott Fly Rods for their support. 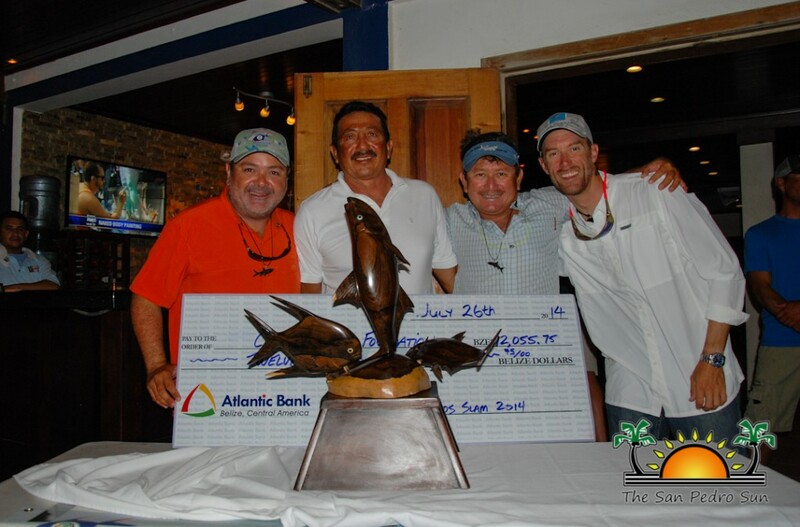 Congratulations to team Yellow Dog and all the fishing teams on a great tournament!